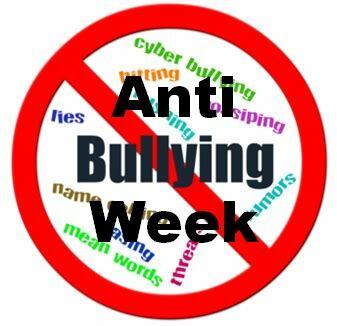 November has an Anti Bullying Week! This is a time to bring focus to the pervasive issues that surround bullying. This year, Bullying UK is focused on cyber bullying. Many parents of teenagers, including myself, did not grow up in the world of social media. We are learning alongside our children skills like: online etiquette, privacy boundaries and the impact of a 24/7 spotlight on life. The digital world can feel like a minefield for parents. We want to allow our children a space to be themselves without being overbearing. However, we also know how vulnerable they can be to predators, bullies and cultural influencers that may not be the best role models. Here are just a few tips to help bully proof your children in the cyber world. Many parents feel that when they allow their children to have social media accounts, it’s an all or nothing. However, there are many steps that a parent can take to make sure their child is ready for the responsibility. Start on one platform where you are a friend. I would suggest making up a fake profile so that it is not obvious to your child’s other friends that their parent is on there. This way, you can keep an eye on what gets posted. If they have a video channel like YouTube or Musically, have a rule that you approve all videos before posting. Gradually, as they show responsibility, you increase their level of privacy. This is an area where children become the most vulnerable. They love to collect followers and want as many as possible as social proof of their popularity. However, if they have no restrictions, the trolls will come calling. It is too easy to make a fake profile and become a cowardly abuser. Privacy restrictions bring accountability for users. Trolls thrive on attention. If children engage with their hate speak, it gives them that attention. Teach your children the power of blocking, banning and reporting trolls. Starve the trolls of their attention and they will go eat elsewhere. Report the trolls and the powers that be will deal with the account. Dismissing them helps to take away the validity of everything that they say. One of the biggest advocates for victims of bullying is Monica Lewinsky. Think what you will about her, but her life is a cautionary tale for knowing who to trust and what to keep private. Because she was recorded being chatty on the phone with a wolf in friend’s clothing, her life was changed forever. Flash forward to the cyber generation. Teens are posting and messaging private, intimate details and pictures to “friends” assuming that they will remain private, only to be horrified when those most intimate details are forwarded on to their entire year in a matter of seconds. People all over the world are losing employment and friends due to insensitive comments that they put in print years ago. Help your children by pointing out examples of all of this and constantly revisiting the conversation. Prevention is always more powerful than Intervention. Using Positive Parenting techniques to help your child grow up with a strong sense of self and an understanding and acceptance of values is the best way for them to become resilient. This is the best armor with which we can equip our children for battling bullying of any kind. They are less vulnerable when they define themselves rather than rely on others to define them. At Educating Matters, we know that a parent is a child’s first and most important teacher. They are watching you and learning from your actions. When you are able to effectively deal with trolls, limit what you post and behave with dignity online, they will learn to value those things as well. Show children from an early age how you edit and reword your posts. Ask your child’s permission before sharing a story or a possibly embarrassing picture. This will subtly share and bolster the values you have around making cyberspace as safe and positive as you can despite the choices of others around them.